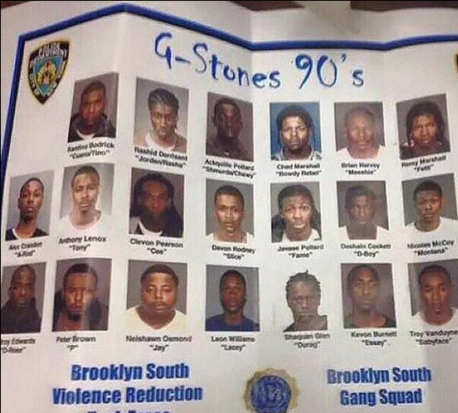 Rapper Bobby Shmurda and 12 other members of GS9 were arrested on Tuesday during a sting by NYPD and Feds on charges of multiple shootings and drug trafficking and have just been arraigned today. During their indictment police displayed the guns that were confiscated from them and accused the crew of 24 shootings. The DA is seeking $2Million in bail for just Bobby Shmurda and hope he will be out of commission for a while. Shmurda was under surveillance by police and was arrested while he sat in a car outside Quad recording studio in New York. Chicago Rappers make music video with Everybody holding a Gun even the Camera man. No Arrests. Bobby Shmurda makes Finger Guns. INDICTED!